(NaturalNews) America's agency of federally approved airport perverts, itchy-finger crotch-grabbers and power trip egomaniacs now has a whole new job: brainwashing the minds of Disneyland employees with its quack science "behavior detection program" to spot terrorists. "Yes, the Transportation Security Administration's embattled $900 million behavior detection program, called Screening of Passengers by Observation Techniques, or SPOT, is not just used at airports. It's also used at theme parks," writes Jana Winter of The Intercept. "They have plainclothes people at Seaworld and Disney doing the same behavior detection, looking for the same indicators we look for at the airport," a source told The Intercept. No doubt the TSA also trained Tilikum the killer whale to spot terrorists, too. That's what happened, actually: one day the trainer laughed a little too loud and the killer whale ATE HIM. What this means is that, according to the TSA, Goofy is a terrorist because he exhibits both of these suspicious behaviors. "Whistling" is also a suspicious behavior, which pretty much nails Snow White and the Seven Dwarves (whom I've always suspected of running some sort of "terror cell" anyway, so this doesn't surprise me). Fascinatingly, the TSA does not list "wearing a vest lined with explosives" as suspicious behavior. Nor does the federal agency think it's suspicious to sexually molest travelers as this former TSA agent now admits happened every day at airports across America. 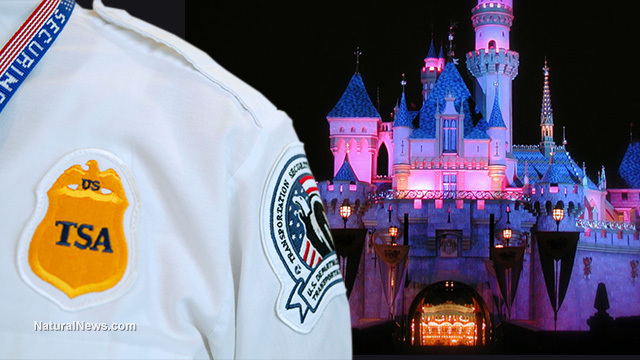 In any given crowd of Disneyland tourists being observed by the TSA, the TSA agent is the most likely criminal in the room! When The Intercept attempted to get a comment on all this from Disney World, they hit a brick wall. "Disney World did not respond to requests for comment," says their article. But not responding to questions is also a "suspicious behavior," according to the TSA. So Disney World's refusal to respond to questions about why it is using the TSA's Looney Tunes behavior profiling program to catch transportation terrorists inside the Magic Kingdom is, itself, an indicating that the Disney corporation might itself be run by terrorists. Whatever the case, I'm pretty sure the TSA found time to engage in the sexual molestation of Disney characters. How do I know? Because someone told me the TSA was "f-----g Goofy!" 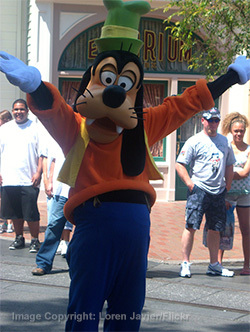 Was Disneyland measles outbreak caused by recently vaccinated children "shedding" the measles virus?